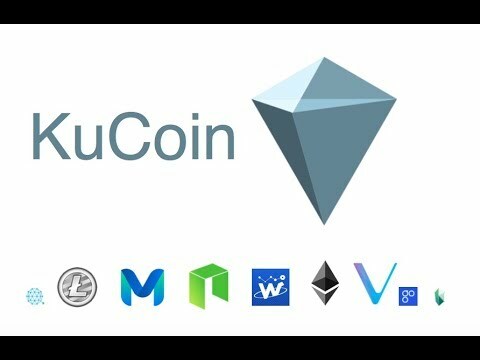 In this KuCoin review we will take a look at an exchange that is quickly becoming one of the most popular for a large array of Altcoins. Many traders are now actively trading on this relatively new exchange. Of course, this begs the question of whether it can be considered safe to trade with? We will attempt to answer that in full. In this review, we’re going to look into Kucoin and see how it stands up to other exchanges, what advantages it offers, and what potential downsides it has. We’re going to compare Kucoin to the same basic set of guidelines which include asset support, security, fees, platform technology and customer support. Kucoin originally came from China and was once one of mainland China‘s biggest exchange platforms competing with others like bit finance. It was launched in 2017 and grew quickly after that. Following the crackdown of exchanges in the country, Kucoin relocated its operation to Hong Kong but has more recently registered a holding company in Singapore. KuCoin operates under PHOENIXFIN PTE. LTD. which was registered on the 22 January 2018. They also completed an ICO last year in which they raised a sizeable amount of money for investments in their technology and marketing efforts. In this ICO, they issued Kucoin shares (KCS) which are another interesting benefit of using the exchange. KuCoin was started by Michael Gan who is a former employee of Chinese conglomerate Ant Financial, as the CEO. For those who don’t know, Ant Financial is a spinoff company of Alibaba, which is often referred to as the Amazon.com of China. A common practice in many parts of Asia is to adopt an English name for ease of cross language communication. In the case of Michael Gan, his real name appears to be Ku Gan. The “Ku” in his name is likely an inspiration for the name of the exchange. Ku Gan, or Michael, is listed alongside 11 other chief staff members on the site. Since the rapid increase in demand last year, KuCoin has expanded dramatically. They now have a teams at numerous offices around the world. They have also expanded the exchange to offer trading services in numerous languages. Kucoin seems to be a pretty safe exchange. There have been no hacks on the system yet and users are protected by a range of personal authentication tools. what was quite surprising to us is that they are probably one of the only exchanges that we have come across that, by default, require two factor authentication when placing a trade. The micro-withdrawal hot wallets that we mentioned above are stored within the Amazon cloud service. This means that they are sitting behind an array of sophisticated firewall technologies on the AWS cloud. On their platform, they make use of the most advanced transfer encryption protocols when moving data through the ecosystem. They also have a number of internal procedures that handle sensitive client information. They have special personal authorisations in place in order prevent any sort of phishing expeditions. While most of these factors are no doubt encouraging to those users who are considering Kucoin, you have to take the words with a pinch of salt. They are still a new exchange and they may not have had the extensive exchange hack attempts that more established competitors have had. One can only hope that these procedures are being followed internally. Irrespective of the security though, you should never save large amounts of cryptocurrency on an exchange. You should make use of either cold storage or a hardware wallet. According to coinmarketcap.com, Kucoin currently offers 179 trading pairs. While most exchanges only offer trading pairs between bitcoin and altcoins, and Ethereum and altcoins, Kucoin allows for trades between NEO, Bitcoin Cash, and Tether USDT tokens. While not all options have the same number of trading pairs, there are a number of options to choose from. And even though the number of assets available for trade is not quite as vast as at Cryptopia, the asset choice should still be sufficient for most traders. According to the roadmap that has been presented in their white paper, Kucoin wants to release a number of other coins. For example, in June of this year they want to release a feature which will allow for pairs to be added much more efficiently. That means that those who are in the community can add their own coins for consideration. According to the roadmap, they hope to have at least 1,000 cryptocurrency pairs by December of 2018. Kucoin offers surprisingly low fees. For most assets, the fees on trades are 0.1%. This is quite low for the industry where 0.15% or 0.18% is more common. Additionally, what’s quite interesting is that there are no withdrawal fees for assets like NEO and NEO Gas. Users are also reporting that at times there will be no trading fees at all for various assets. Some of the coins also attract really low withdrawal fees. For example, withdrawal fees on 0.0005 on BTC, 0.001 on LTC and 0.01 on ETH. If you are withdrawing an amount that is for less than the current fee times 100,000 then it will be processed in a mere matter of seconds. You can read more about their withdrawal fee structure here. What we really did like about the KUCoin fee structure is how these are spent. Only a relatively small portion (10%) is actually retained by KuCoin. The rest will end up back in the hands of the users. For example, 50% will go to the users by way of the KUCoin bonus we mentioned above and the other 40% through the invitation bonus. While this is no doubt a different business model than most exchanges, it does incentivise users to use the exchange more frequently. It also encourages them to refer their friends to the platform to make use of bonus offers. In addition to this generally lower fee structure, Kucoin seems to be pioneering a unique business model in which investors can purchase Kucoin tokens which then entitles the holder to periodic dividends which consist of 50% of the fees collected by the Kucoin platform. Other exchanges have followed suit, such as Flyp.Me which offers its own token that grants a similar 50% dividend that it is giving out quarterly. What is slightly concerning is that Kucoin offers an affiliate program which allows for 20% of fees paid to someone who used an affiliate link to the originator of the link. Then, if those who signed up with the link have additional users join, the original link sharer gets an additional piece of the fees, up to 3 degrees of separation. While some have suspected that this is suspiciously pyramid shaped, it does not appear to be a scam. Instead, at least on the surface it appears to be a genuine profit-sharing, affiliate-style mechanism to spread popularity in the program. As many a cryptocurrency trader can attest, customer service is one of the most important factors when it comes to choosing an exchange. It seems as if Kucoin has no doubt taking that into account and operate an efficient 24/7 support desk. You can reach out to the support team right from your trading exchange on your dashboard. Of course, they also have the option for you to email in to them. This can be done at support@kucoin.com. Off of their site, they also operate a telegram chat channel and appear to be quite responsive on their twitter. When it comes to withdrawals, they aim to complete these in about 10 minutes from the request. This will of course depend that the requested amount is below a certain threshold. Unlike some exchanges, there is no compulsory KYC requirements on KuCoin. You can safely trade on an anonymous account as much as you like. However, KuCoin will be instituting withdrawal limits on non-verified accounts later this year. If you have not verified your account then from the 1st of November 2018, you will be restricted to only withdrawing 2 BTC within a 24 hour period. Of course, KuCoin recommends verification so that you can successfully regain your account in the event of a takeover. In order to get your account verified, you will need to answer a few of their personal identity and source of fund questions as well as uploading your personal identity document. Once you have completed these steps, KuCoin will have to manually verify your account. They have stated that this could take anywhere from 1-2 weeks. The trading platform has some of the most advanced technology powering it. For example, the trade engine has a million level throughput. This means that at its peak, the engine is able to place 2 million orders per second. Once placed, the peak processing level is 1 million orders per second. This is many multiples higher than the current industry standard. Let’s take a look at how you would go about making the most of the exchange. When you first go onto the site, you are presented with a registration screen as shown below. As is pretty standard amoung cryptocurrency exchanges, you are required create an account and confirm your email. When you log back into your account, you will be given the option to set up two factor authentication. This is of course highly recommended as it can secure you from any phishing attack vectors. Once you have completed your registration, you can fund your account with cryptocurrency. Unlike some other exchanges, KUCoin is not a “Fiat gateway”. This means that you cannot fund your account with any type of Fiat currency. Yet, in terms of cryptocurrency, every coin that you can trade they have an option to fund. You merely head over to the dollar sign in the top right of your screen. You will see the amount of coins that you have in your balance and the options to either withdraw or fund. Once you have funded your account with a cryptocurrency of your choice, you can move onto entering some trades. If you are anxious to get your hands on some coins then you can use the fast trading option. This will allow you to immediately buy or sell the coins. If you have set up two factor authentication then you will be asked to insert your code before placing the trade. This is done in order to make sure no unauthorised trades take place. Nevertheless, you can easily disable this in your security settings. Depending on whether you want to buy or sell the coin in question, you will have to enter the price at the Ask / Bid that is currently live in the market. In order to do this you merely have to click on the blue Bid / Ask and it will place the order at this level. You can also enter your desired level but there is no guarantee that it will be filled quickly as it will move to their order books. For those of you who prefer the benefits of advanced charting, you can always move over to the live platform. Here you can see all the important information in the market including the order books and the buy / sell walls. In terms of charting software, it is provided through the use of Tradingview. This is the same software that is in use by a number of other exchanges and is the industry standard. You have indicators, technical studies, and sentiment analysis. The ordering process is much the same as with the quick order. The only difference here is that you have your buy / sell order forms side by side and you can see your order being added to the books. If you are a developer who builds your own trading software, then you can make use of their API connectivity. The high performance of the trading engine will no doubt be of benefit for a trading bot that makes the most of fast execution. Well, for those traders who like to trade on the margin, you may be slightly dissapointed. There are no margin trading options on Kucoin as they aim to be a more traditionalist exchange. If you were interested in doing this then you can use an exchange such as Poloniex or a CFD broker such as IQ Option. For those traders who are on the move and would like to monitor their positions from their phone, KuCoin does have a mobile application. This is currently only available on Android although they are running tests on the iPhone version. We decided to download the android version and see how it stacked up to other mobile apps used by other exchanges. While you do have some basic functionality with the App that allows you to monitor your positions and place some trades, there are a number of things that make it less appealing than using a PC version. Indeed, much of the charting tools are missing from the application. For example, when we fired up the app and went to the Bitcoin chart we could see that the charts do not show the price axis (y axis). This is a pretty fundamental flaw that we think needs to be rectified before traders can get comfortable with the app. There are also a number of bugs that other users have picked up on and left comments on in the KuCoin review section of Google play store. For example, some take issue with the fact that they are asked for permission from their phone to install external applications. The app is listed in Play store so should be a “trusted app”. Some users also reported getting notifications in Chinese on the English version of the app. Some also complain about the fact that the app will forget login credentials when they close it which means that they have to login a number of times. So while a mobile application is no doubt convenient, we would suggest only using the KuCoin mobile app to monitor your portfolio. Once they have fixed a number of problems and bugs with the app then you can start using it to trade again. It is also worth pointing out that you should make sure that you are downloading the official KuCoin app and not a clone that will steal your credentials. If you were a developer or member of a cryptocurrency team and you wanted to include your coin on the exchange, you will have firstly complete an application form on Kucoin. This will require you to answer a number of questions about your project as well as get you to agree on all the terms and conditions that KuCoin may have for coin listings. Once you have completed the application, KuCoin will work through it and hopefully get back to you if they had any questions. There is one final stage that your coin will have to pass in order to get listed and that is to pass a popular vote. In order for KuCoin to get an idea of the demand for a particular coin, they will have to reach out to their current user base. This is what they do in the KuCoin coin vote. Below is an example of the coins that are currently available for voting on the exchange. The voting rules are also slightly weird in that you can vote up to 50 times but each vote will cost you 0.5 KCS. This will at least prevent the chance of spamming by a large number of accounts while still making it democratic with voting limits. In order for any coin to be considered for inclusion on the platform, a minimum of 100,000 votes is required. Of course, KuCoin has the right to suspend coins from the voting process if any wrongdoing is suspected. Kucoin shares are the native token of the Kucoin exchange. There is a 200m total volume of these coins in circulation. The hope is to bring this supply down to 100 million through a series of buybacks by Kucoin themselves. These buybacks of the tokens will take place on a quarterly basis. The amount that will be bought back by the exchange is equal to 10% of the total profit that the exchange makes for that quarter. Once the KCS have been bought by the exchange, they are destroyed. KCS is also an ERC20 token which means that you can store them in any wallet that it compatible with coins based on Ethereum’s blockchain. Kucoin sold these tokens to investors in an ICO last year through a number of different stages that distributed the 100 million tokens. The founders received about 35% of the initial distribution with other investors and venture capital funds receiving about 15%. The rest of the tokens were sold in the crowd sale. There were lockup periods for both the founders and the VC investors. They were four years for the latter and 2 years for the former. So, are Kucoins worth “hodling” onto? Well, that depends on your view of the performance of the exchange itself. This is because of factors that will impact on both the demand and supply side of the equation. As the exchange improves its performance, they will buy back more coins and decrease supply. On the demand side, as more users are brought to the Kucoin exchange, they will also want to hold the tokens in order to earn potential bonus rewards we mentioned above. It is up to you to decide on how likely these are to take place. Kucoin is a relatively new exchange that has just landed on the crypto scene. Hence, it still has some way to go before it can be considered a realistic challenger of the larger exchanges. However, according to their roadmap, this is an active goal of theirs. They would like Kucoin to be one of the top 10 cryptocurrency exchanges by June of 2019. This is not all too unlikely given that other exchanges like Binance have gone from zero to hero in under a year. The technologically advanced trading platform as well as the extensive range of cryptocurrencies that they cover was a positive. We also like the fact that they were relatively quick on their withdrawals as well as their customer support. Moreover, there are a number of benefits that one is likely to get from trading with Kucoin. For example, the Kucoin rewards and bonuses are a great way for the exchange to give some of the rewards back. They are aligning their interests with those of their users. So is Kucoin an exchange for you? They do indeed tick a number of boxes that cryptocurrency traders usually have. Of course, nothing beats personal experience so you will need to create an account with limited funds and see how well it works for you.